Now that it’s officially December, it’s time to get in the giving spirit. For our first annual TTB Holiday Giveaway we’re offering one lucky winner a chance to take home a great prize package from the TTB Store, highlighted by a slide used onstage by Derek at the 2017 Boston shows. 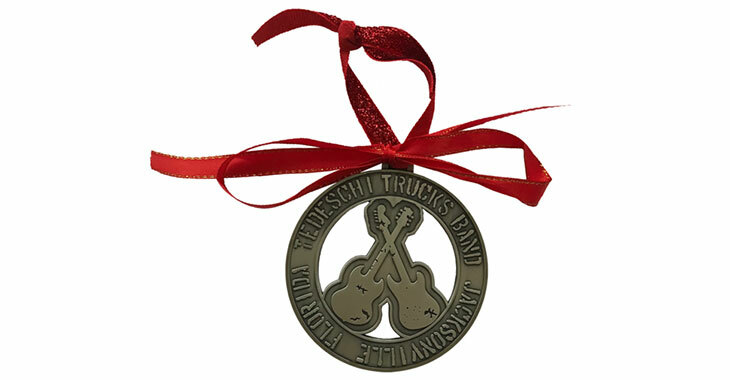 Additional items include two TTB tees, a beanie, an xmas ornament, two koozies and a water bottle… Enough swag to stuff even the deepest stocking for the music lover in your life. Enter the TTB Holiday Giveaway here. If you can’t wait for us to pick a winner on December 22, check out the TTB Store today for tons of great deals on tees, posters, music, accessories and much more. Please note: OpenFan is a TTB partner that helps us to better understand and communicate with our fans. Any/all data collected through this contest will be kept 100% private and only be used to keep fans informed about concert dates and special offers from TTB. For those uncomfortable with using Google or Facebook to enter, an option to sign up manually is available.